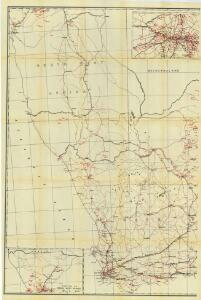 Cape Province, Transvaal, &c. - western section. Partie, Pays des Hottentots. Afrique 50. Cap de Bonne Esperance. Afrique 53. Description: Union of South Africa. Special map accompanying Richmond's South African All Mining Year Book illustrating the location of Mines, Quarries and Works.